Go directly to the websites of top hotels in Florida FL - from discount deals and affordable hotel rooms for the budget traveler to the best luxury four star and top five star accommodations. 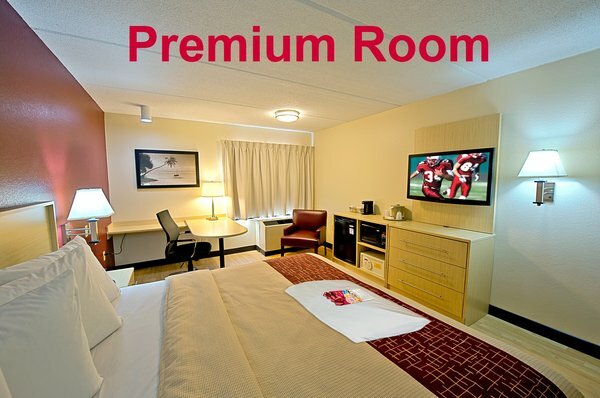 You can also search for lodging that caters to your specific needs, such as extended stay hotels, family friendly, hotels for business traveler / event planning, suite / boutique hotels and much more. Acqualina Resort & Spa on the Beach is a luxury seaside haven located on 4.5 beachfront acres in pristine Sunny Isles Beach, featuring 98 impeccably appointed guest rooms and suites and 188 residences with breathtaking views of the Atlantic Ocean. Acqualina is a recipient of the coveted Forbes Travel Guide Five-Star Award and the AAA Five Diamond Award. Acqualina invites you to step into a world of luxury with unprecedented accommodations and service, world-class dining destinations, including Il Mulino New York and AQ by Acqualina, three oceanfront swimming pools, spacious meeting rooms, and an innovative marine biology-based children's program. A variety of lavish interior and exterior venues provide an ideal background for opulent weddings and memorable events on the lush property grounds boasting 400 feet of stunning Atlantic coastline. Acqualina Spa by ESPA, the first ESPA-branded spa in the United States, provides guests with an exquisite 20,000-square-foot, two-story tranquil sanctuary of excellence and relaxation set in a class of its own offering eleven multi-functional treatment rooms, and an extravagant private spa suite for two, along with the opportunity to enjoy the beautiful outdoor terrace complete with a spa pool, heated jet pool, and Roman waterfall - all set against the gorgeous backdrop of the Atlantic Ocean. From water sports to beachside bars, from fishing to great culinary experiences, Baker's Cay is the perfect escape for all to enjoy. At Baker's Cay Resort, everything about the design inspires a sense of easy, relaxed comfort and effortless refinement. Guest rooms are designed to comfort and inspire, featuring complimentary WiFi, a 50-inch TV, premium HD cable, a mini-fridge, and a private terrace with breathtaking views of the resort grounds or Florida Bay. Baker's Cay suites offer a living area with sofa bed, a master bedroom with king bed, a second bedroom with trundle bed, a kitchenette and wrap-around terrace. Fontainebleau today reinvents the original vision of legendary architect Morris Lapidus - a stage where everyone plays their unique part. At Fontainebleau, striking design, contemporary art, music, fashion and technology merge into a vibrant new kind of guest experience. Guests are invited to enter a world of endless possibilities, where they are free to play, shop, dine, spa, meet or simply relax � however they define a perfect day. Situated on oceanfront Collins Avenue in the heart of Millionaire's Row, Fontainebleau Miami Beach is one of the most historically and architecturally significant hotels on Miami Beach. Opened in 1954 and designed by Morris Lapidus, it was the most luxurious hotel on Miami Beach, and is thought to be the most significant building of Lapidus' career. In 2012, American Institute of Architects granted Fontainebleau the award for the Top Building in Florida, after more than 2.4 million votes cast in the '100 Years. 100 Places' competition. 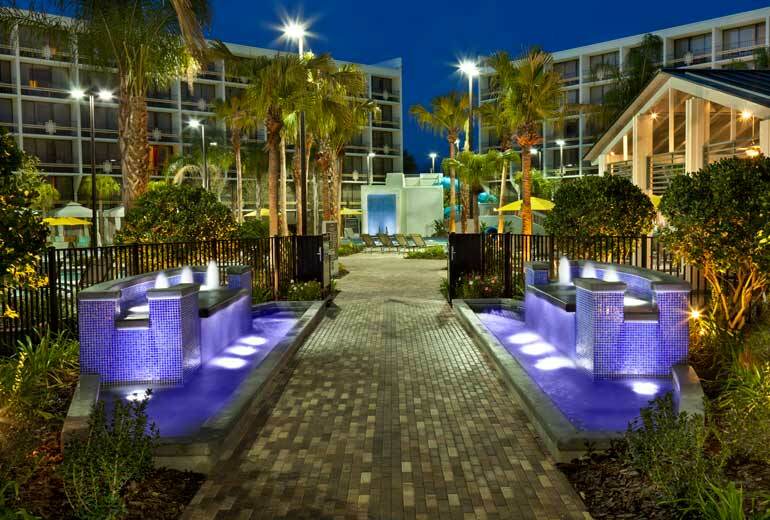 Discover a quiet retreat where one can feel truly relaxed, yet close to all Tampa has to offer. 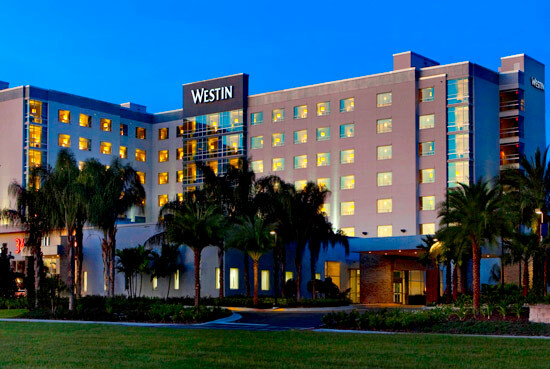 Situated near I-75 and I-4 in Brandon, Florida, the upscale Sheraton Tampa East hotel is designed for business and leisure travelers seeking an alternative to the bustle and distractions of a downtown hotel. Enhance your stay with the full range of signature Sheraton perks, from the Sheraton Signature Bed and Starbucks coffee, to the Sheraton Fitness Center powered by Core Performance, fully-wired Link@Sheraton experience with Microsoft and complimentary shuttle transportation within a five-mile radius. Lounge by the landscaped outdoor pool or ride the free shuttle to Seminole Hard Rock Casino, Westfield Brandon Mall, or the MidFlorida Credit Union Amphitheatre. At the end of the day, meet for cocktails and fresh, seasonal cuisine at Panfilo's Bar and Grill. At the edge of the vibrant Tampa Riverwalk, Sheraton Tampa Riverwalk Hotel invites you to discover a hotel designed for doing as much or as little as you like. Work, play, relax or explore at our downtown hotel, minutes from Raymond James Stadium, the Florida Aquarium and Port of Tampa. Stroll to downtown attractions like the Tampa Convention Center, the Channelside and Ybor City entertainment districts, and the Amalie Arena, or let our complimentary shuttle take you anywhere within a three-mile radius. Lounge by the outdoor pool, where river views offer a relaxing backdrop, or re-energize with the Sheraton Fitness Powered by Core Performance personalized training program. Then unwind in one of our 277 pet-friendly guest rooms and suites featuring our signature Sheraton Signature Bed and free wireless Internet. Check out the most popular hotels in Florida from the Top 10 list below. Find hotels rooms, hotel booking, hotel deals, Florida hotel reservation, motels, hotels cheap, hotel reservations, Florida hotels deals, hotel offers, booking hotels and more! !